Deleting a file accidentally from system is perhaps a common blunder that many people commit, but what pinches you hard on the nerve is when you delete a relatively more important file or folder from your computer. 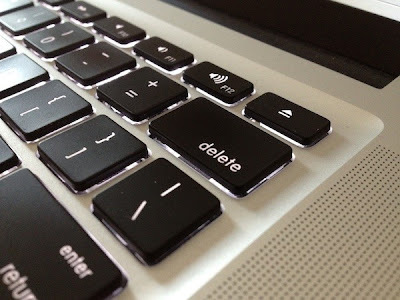 However, there is not much to worry as computer scientists have devised ways using common operating systems’ deletion techniques, to un delete a file, and surprisingly, not many of the computer users know this fact. Did you ever wonder why it takes a considerable amount of time to copy a 10 Gig file on disk and only like 1 second to delete it? Well, that is because the deletion process in Windows and many Other OS does not actually delete each and every bit of the file from disk, but just removes its entry from the Master File Table (MFT – which has the records of every file on disk). 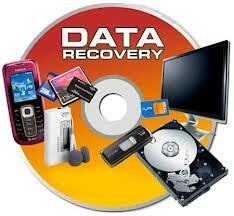 What the recovery softwares do is that they scan not the MFT, but the actual surface of the disk and so are able to locate the files which may have been deleted from the MFT. 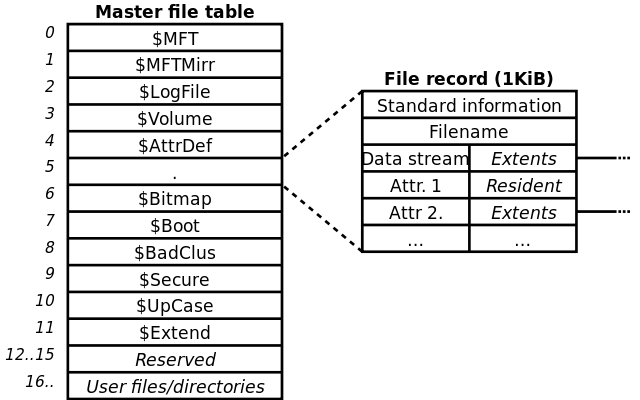 The reason why names of the deleted files are not recovered is because the names are saved in the MFT entry of that particular file. 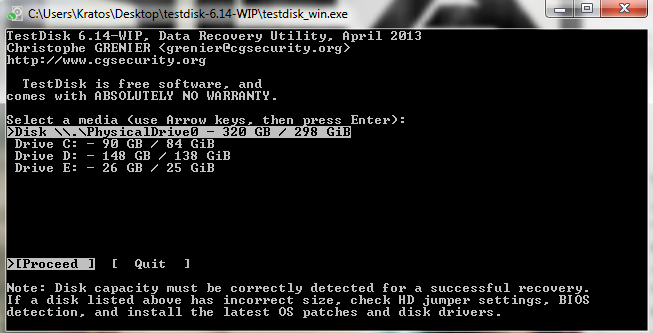 So, let’s take a look at some good, probably the best available free, data recovery software. Recuva is a data recovery software by Piriform and was first launched in 2007. Like any other recovery software, Recuva is able to recover the permanently deleted files from any sort of storage media. Here are some of the important facts about Recuva. Recuva is compatible only for Microsoft Windows. It supports Windows 8, 7, Vista, XP, 2003 and 2000. It lacks the support for Linux or Mac OS. 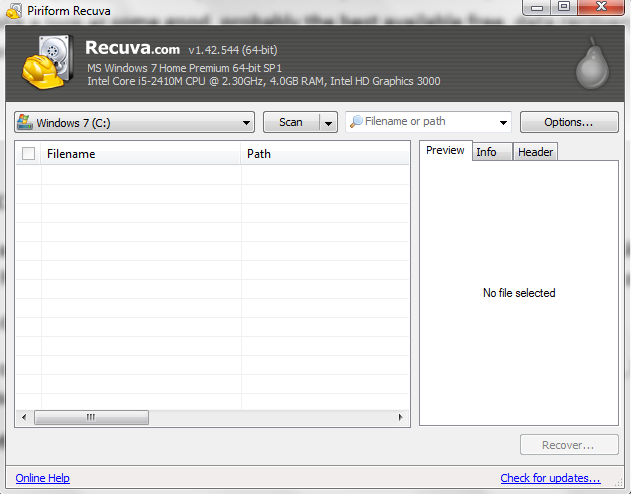 Recuva has a user-friendly and an interactive GUI. This makes it easy to use and you don’t need a manual or handout so as to figure out how to operate the program. Recuva offers two modes of scans. The simple scan and the Deep Scan. The deep scan of Recuva takes an average amount of time if compared with other products. The simple scan takes around 1 minute on an average sized drive. The recovering capacity of Recuva is way better than many other such software. However, it lags behind some paid software in performance. But as for freeware, Recuva is one of the best available. 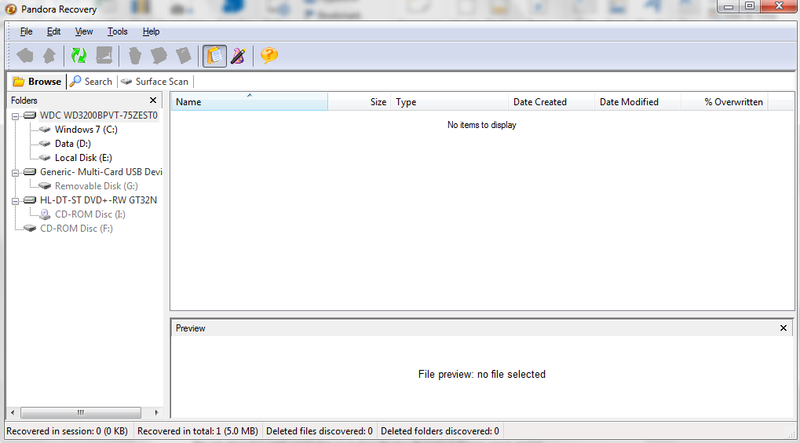 Recuva also gives a live preview of the deleted files (that can be recovered), after scanning. Since, file names aren’t recovered, this file preview feature helps in identifying the file and it extremely helpful therefore. It also provides file information and file header info along with the preview. Recuva also enables the users to search for a specific type of file. You can specify an extension or a file name and Recuva will show you the files that come under that name. 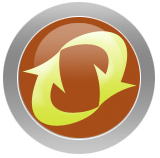 TestDisk is an open-source file recovery software developed by CGSecurity. It is a powerful free data recovery software that was primarily designed to help recover lost partitions and make disks bootable. Lets look into some of the specs of TestDisk. TestDisk is compatible with DOS, Microsoft Windows, Linux and Mac OS X. The source code for the software is also available for these OS. The worst fact about TestDisk is that it does not have graphical interface. If offers a CMD interface which is irritating and not-interactive. The scanning speed of TestDisk is not so fast but not too slow either. It is faster than Pandora but slower as compared to Recuva. The scanning capability of TestDisk is amazing. It is a lot more effective in scanning than any other mentioned recovery software. Since, TestDisk is CMD based, it does not offer any preview of files. You can view them after recovering. You cannot just search for a particular file type using this software. It scans for all the deleted files and gives you the list. TestDisk is usually distributed in zipped versions and hence is portable. There is no particular installation of the software. Pandora File Recovery is one efficient file recovery software. Here are some of the specs of this recovery tool. Like Recuva, Pandora File Recovery is also only Windows compatible and will not work on any other platform. Currently, it supports Windows 8, 7, Vista, XP, 2003 and 2000. The GUI of Pandora File Recovery is interactive and user friendly. All you need is available on the main screen and you will not find it hard to understand. The only thing that might not be that good about Pandora File Recovery is its scan speed which is comparatively slower than many other such software. Pandora is no-doubt slow, but is also many times effective in scanning for files as compared to many other file recovery software out there. It finds out files that many other software, even Recuva, miss out. The Surface Scan feature of Pandora File Recovery takes time but is great. The multimedia preview feature is quite good. There are a vast variety of file types it can preview. It also displays information about files. You can search for a particular file type using Pandora File Recovery. It also allows you to specify details such as file size and creation date range to assist the search. You not-necessarily have to install PFR on a device that you want to use it on. There are portable versions of the software available that you can copy to a flash drive and use on any computer that you want to.